Founded in 1976, Bay Photo Lab has a long history of innovative photographic printing and photo finishing services. Located in the coastal redwoods outside of Santa Cruz, California, they have been providing professional photographers with the highest quality printing and customer service for over 40 years. Since 1989 Clean Water Systems has provided innovative, cost-effective solutions for water quality problems in residential, commercial, industrial, agricultural, and community systems applications. Santa Cruz Camera Repair - very reasonable digital and traditional camera repair rates. Beginning camera repair in 1978, and locally founded in 2007, Santa Cruz Camera Repair offers professional camera repair on most digital brands, DSLR, Canon, Nikon, Sony, digital lens, flashes, SLR 35 mm old fashion cameras and know everything about photographic equipment. A San Francisco destination. Glass Key Photo for all things film, new and old. And root beer. And dogs. Borrowlenses - affordable photo equipment rental of cameras, lenses, and gear. Founded in 2007, Borrowlenses makes it simple to rent, shoot, return. You choose what you want, when you want to receive it, and for how long you want to rent it for. A camera rental giant with small business-style customer service. Digital Truth Photo - Providers of eco•pro B&W chemistry and 'The Massive Dev Chart’, the world's largest source of processing times for developing black & white film. Use Xtol for eco•pro film developer in the chart look up. Shutter Speed - Old, analogue cameras often have the problem that the closures no longer function exactly due to their age. The actual shutter speed can be checked with the help of the PhotoPlug. All you have to do is plug the PhotoPlug into the headphone socket of a smartphone, batteries are not required. Due to the compact design, you can easily take the plug anywhere and test an analog camera directly on the spot. Ideal for flea market visits. Mike Ware’s 'Alternative Printing: A Conspectus’ is a good place to start, leading to his practical, technical, and historical treatises. Michael J. 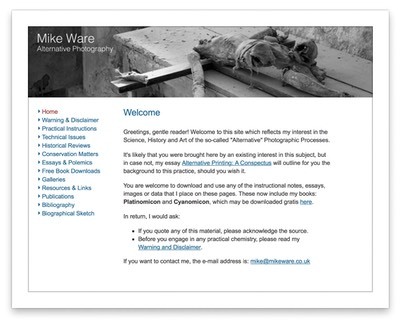 (Mike) Ware (born 1939, Bromley) is a chemist and photographer, known for his work in alternative photographic processes, earlier methods of printing photographic images that were succeeded by the more common silver-gelatin used today. 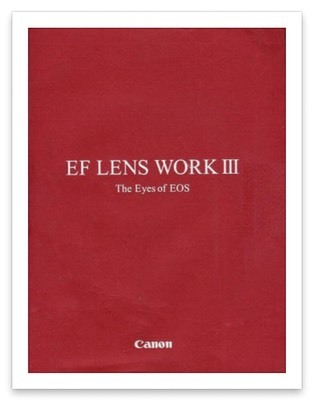 While Canon lens specific, Lens Work is an excellent reference to camera lenses in general. The illustrative examples and photographic techniques for the full range of lens focal lengths make this series the go-to reference for determining and using the best lenses for your particular photographic vision. Ctein has over 30 years of experience in this field and not only is he one of the few remaining dye-transfer printers but is also regarded, by Kodak no less, as one of the best printers. 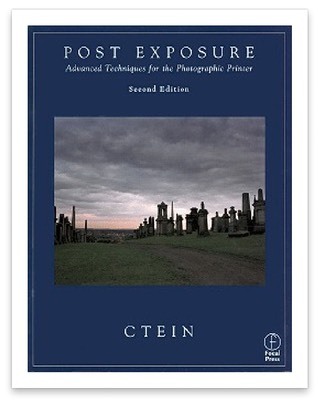 Step-by-step, detail by intricate detail, Ctein takes us from the very beginning of the photographic process, to the most advanced and sophisticated techniques as no other author ever has. 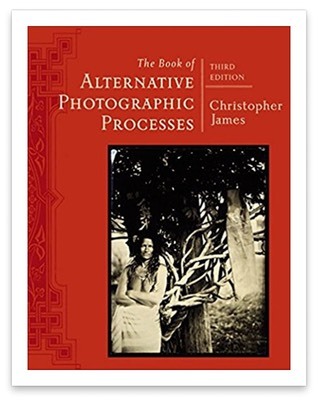 This book provides detailed procedures taking the image from exposure to the making of the fine print in both black and white and color. 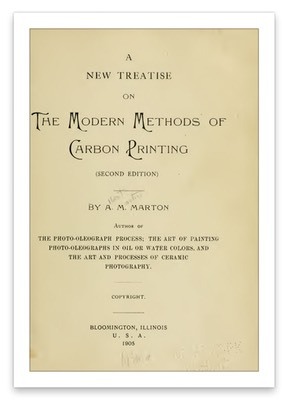 This book goes over carbon printing methods in great detail and is good for anyone wanting to learn about carbon printing. 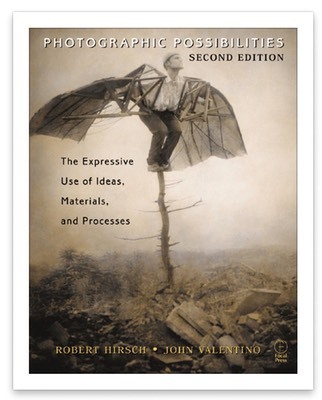 Photographic Possibilities provides a reliable source of techniques and ideas for the use of alternative and contemporary photographic processes that photographers have come to depend on. Professional photographers and advanced students seeking to increase their skills will discover modern and classic methods of creating and manipulating images. 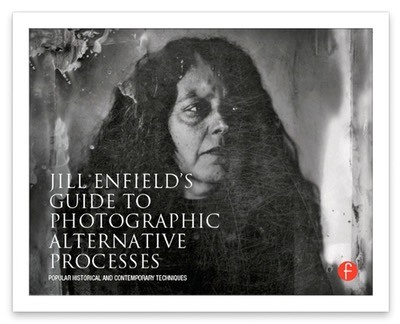 This practical guide integrates technical methods with the aesthetic outcome. Kindergarten simple description in great detail on how and why light sensitive emulsions do not react linearly during exposure, and how best to compensate with a negative specific to the emulsion and paper combination being used. 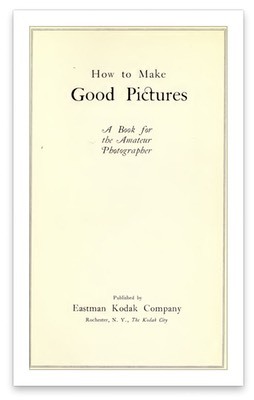 "How To MAKE GOOD PICTURES," the title of this book, explains its mission. We can only add that in it all photographic processes have been reduced to the simplest form consistent with good results complex theories or untried experiments have not been introduced. We have given prominence to the Kodak system of picture making because time has demonstrated its supremacy for the producing of good results in the simplest way. 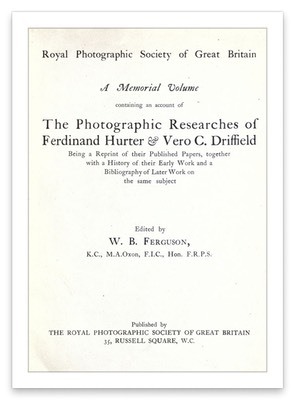 A Memorial Volume containing an account of The Photographic Researches of Ferdinand Hurter & Vero C. Driffield. 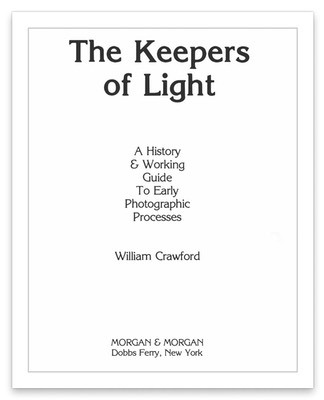 Being a Reprint of their Published Papers, together with a History of their Early Work and a Bibliography of Later Work on the same subject. The great advantages and supremacy of the modern carbon process in its present state of perfection, is now universally recognized by the profession, the world over. 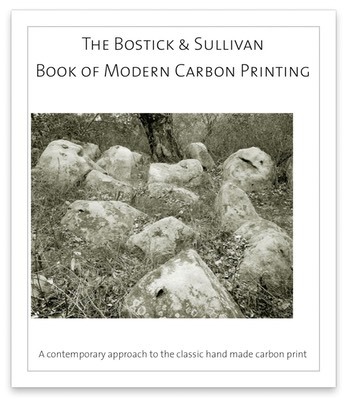 In the following pages, I will try and give the result of many years of practical experience ; and that of other workers whom I have come in contact with during my long career as a professional carbon printer. A few remarks are necessary, by way of explanation of some of the changes that have been made in this edition. The gelatine process having so firmly got possession of the photo- graphic public, it has been awarded the place of honour in the description of negative-making processes, relegating the description of the wet process to a more subsidiary position. Certain omissions in some almost obsolete processes have become necessary to keep the pages within reasonable limits, and to make room for various new chapters. The withdrawal of the second edition of this book, some years ago, is too well known to dwell upon. 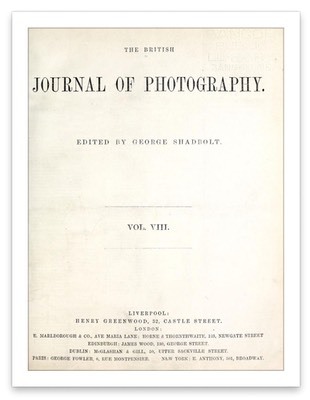 The reasons for the retraction have been fully given in a paper read before the Photographic Society of Great Britain and herein reprinted; and in the same paper it is clearly stated what portions of the original work were discarded and what retained. 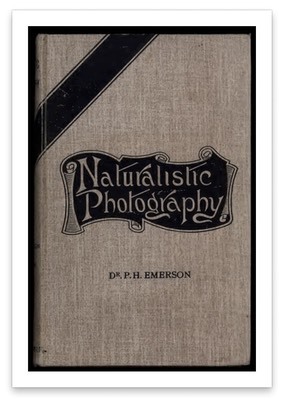 Those portions retained and expanded form this third edition now published for the first time in New York — they having been previously run through the pages of the Photographic Times. 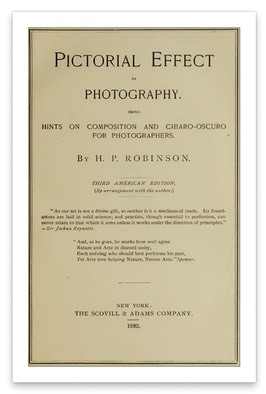 Mr. Robinson's first, and, in the opinion of many, his best, book on photographic art, has long been a standard work in this country. 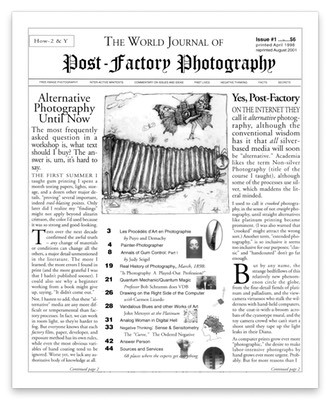 With these brief prefatory remarks, we issue this new American edition of Pictorial Effect in Photography, containing all the original illustrations, for the benefit of the photographic fraternity in this country, confident that it will meet with a wide and appreciative reception. 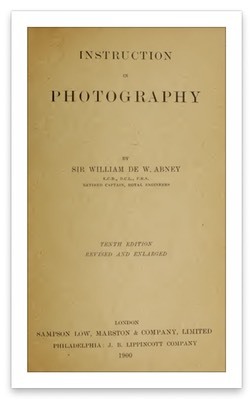 In the following pages, I have embodied the substance of the course of lectures on photography annually delivered by me since 1882, first at the Dublin Mechanics' Institute and latterly at the City of Dublin Technical Schools. 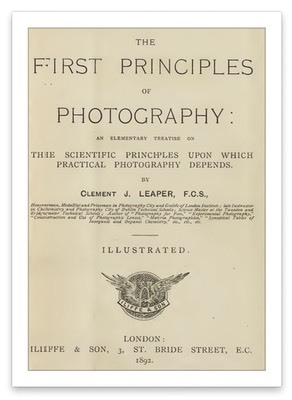 In my treatment of the subject, I have in the main followed the admirable syllabus of the City and Guilds of London Institute, and to students preparing for the Institute's Examinations in Photography I believe this work will be of special service. 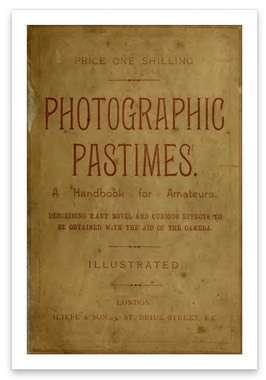 A handbook for amateurs describing many novel and curious effects to be obtained with the aid of the camera. Illustrated. 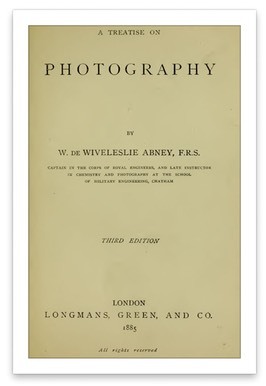 The aim of this book is chiefly to give a rational explanation of some of the different phenomena to be met with in Photography ; and with this to give sufficient practical instruction to enable the student to produce a landscape picture which shall be technically good, and at the same time to be of use to him if he make photography an aid to research. In regard to the theories which the author has enunciated, it is believed that experimental evidence completely justifies their adoption. 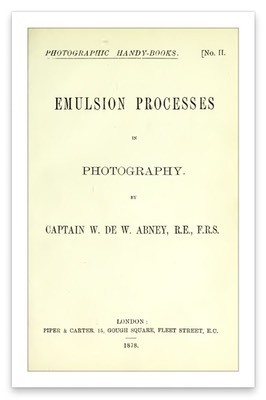 It has been the endeavour of the Author to collect, in the form of a "handy-book," those Photographic Emulsion Processes which have been received with most favour by experienced workers, and with which he is practically acquainted himself; and, at the same time, to give theoretical explanations of some of the phenomena which are met with in these particular processes. Founded in 1854 to record the scientific development of a fledgling medium, these days BJP takes an international perspective on contemporary photography, focusing on fine art and documentary, and the cutting edge of editorial and commercial practices. Each monthly edition (in print and iPad) focuses on a theme, including regular subjects such as Portrait, Education, Journeys and Community.